From Erg Chebbi at the Saharan desert, we rented a car with a Canadian uncle (hi Steve!) 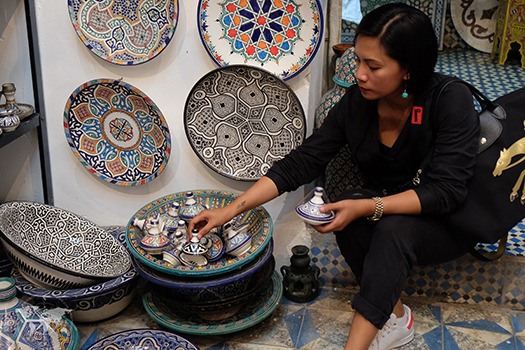 to our next destination – Fez. The scenic drive took about 8 hours with our driver maniacally navigating the mountains of Ifrane with one hand cradling his phone and the other juggling between the steering wheel and stick shift. We took a break halfway through at the town of Midelt. 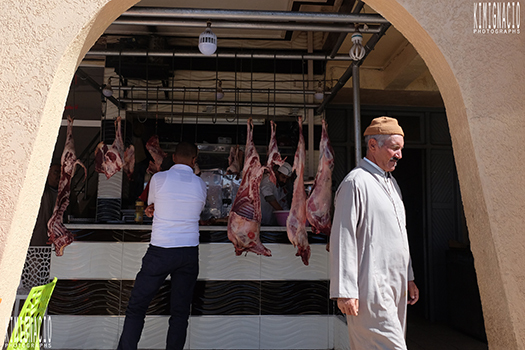 Lunch was overpriced albeit tasty freshly grilled lamb and beef with salads at a 2nd floor terrace of a butcher shop overlooking the market. 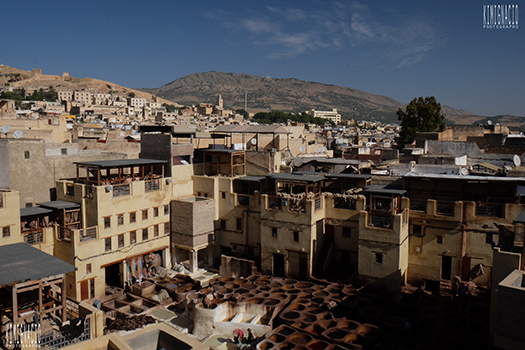 At about 3 PM we were relieved to finally enter the UNESCO World Heritage site of Fes El-Bali and to get off the car with legs cramping but in one piece. 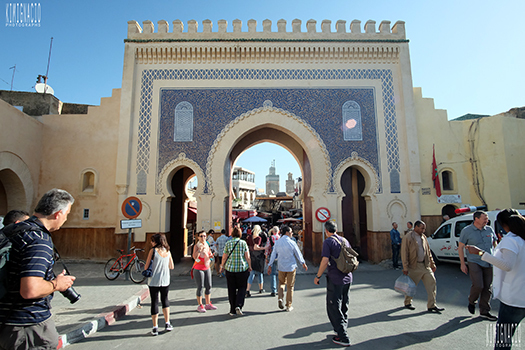 Fes E-Bali is the best preserved walled city in the Arab world. 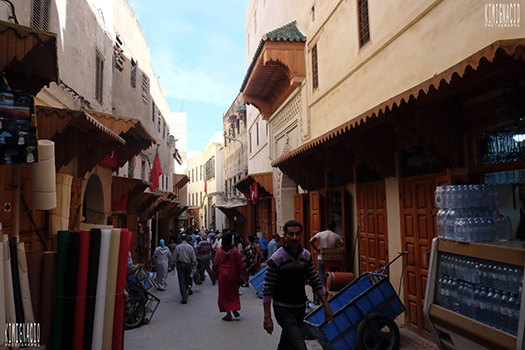 Its sprawling labyrinthine medina has over 9,000 plus car free streets - the sort of a city that defies google maps and Waze. We’re glad to have had the foresight to make arrangements for pick up. 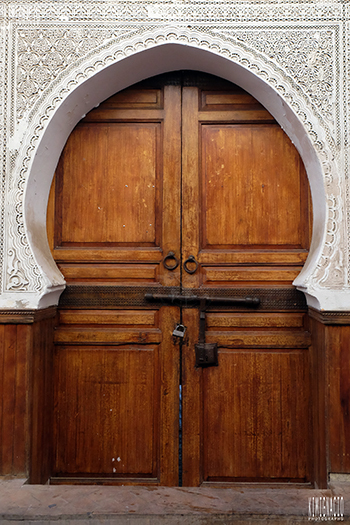 After the nondescript wooden door of our riad, you can imagine my awe when we were greeted with full blown Moroccan chic in the light filled central courtyard. 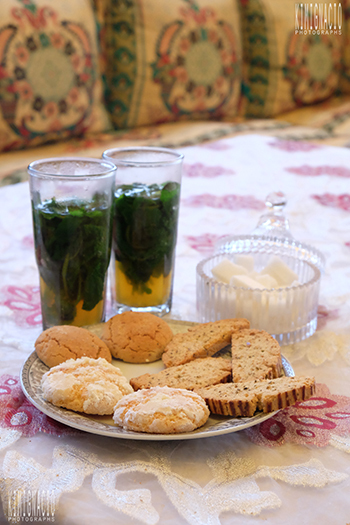 Our suite opens to it and we linger there at breakfast. Sala goals! Minus the velvet couch. After picking up my jaw from the grandeur of our accommodations, we proceeded to cleanse all the sand of the desert that got everywhere, and I mean, everywhere and to get ready for dinner. 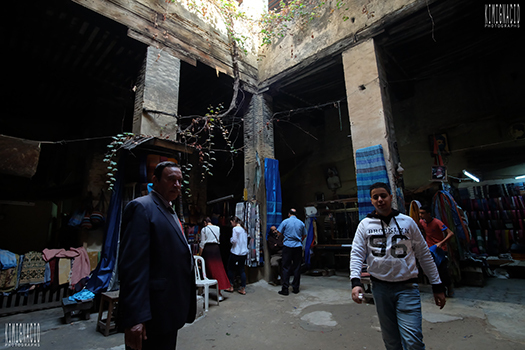 We chose an al fresco resto on a little terrace near the Blue Gate for some people watching. After dinner we did a little exploration to get our bearings and pick up supplies. We bumped into Steve and arranged to meet up for dinner at Nomad the next evening and called it a night. 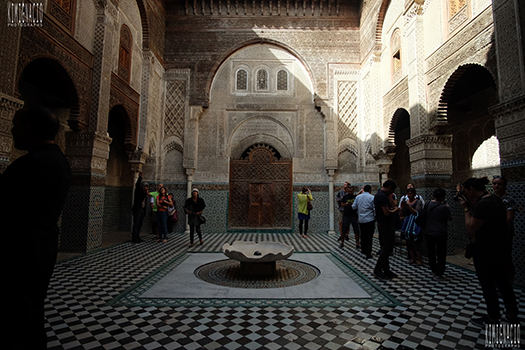 We decided to stay only for 2 nights thinking Fez might be another Marrakesh but we were wrong. 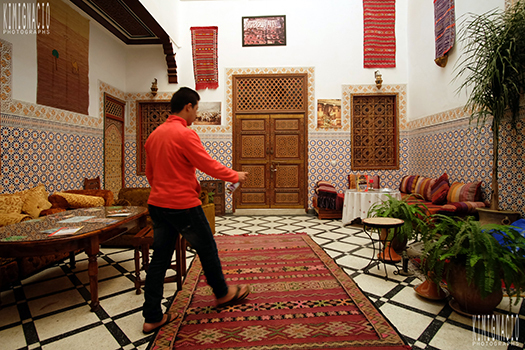 It actually felt more authentic as if it defied time and more true to the Morocco I had in mind. 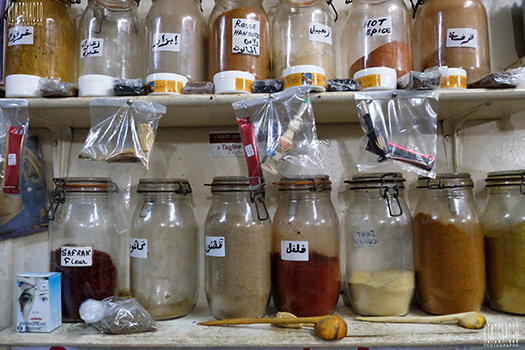 Noureddine, the traditional healer we’ve met in his pharmacy couldn’t have said it any better. 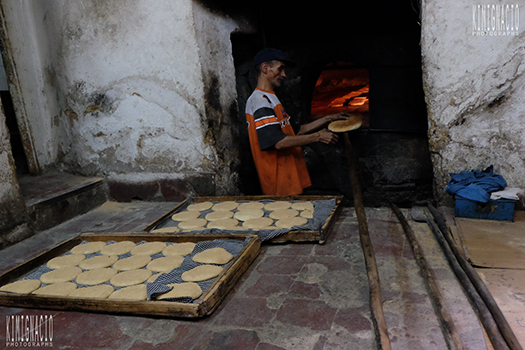 “People come to Morocco because the locals are very traditional and still make things with their hands the old fashioned way.” What he said was really apparent as what we have witnessed at the silk weavers shop, the tanneries, the potteries and the ferran – traditional communal bakery. 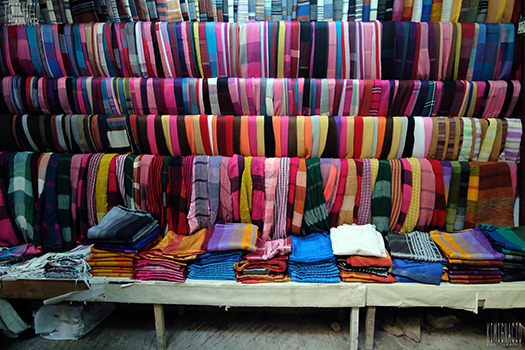 To make the most of our time, and to cover all that we wanted to see and be able to ask all the questions without the huge language barrier, we booked a whole day private guided walking tour arranged with our hotel. It was one of the best decisions we’ve made. 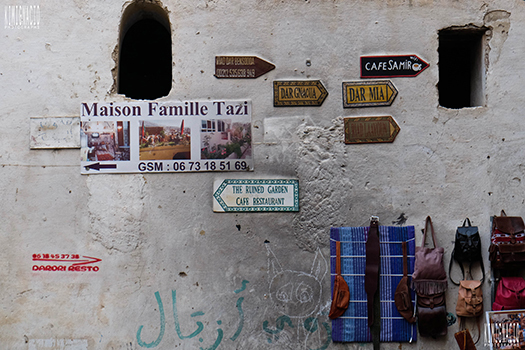 With a licensed guide by our side and with his ID prominently displayed, we’ve got absolute zero hassle navigating the labyrinthine streets of Fez El Bali. Saved us a lot of trouble, time and our sanity. 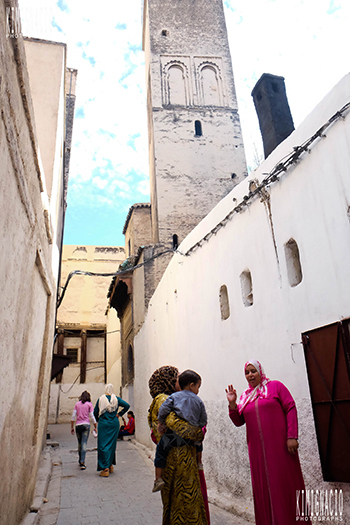 Our English speaking impeccably dressed guide Nassir made sure that we get lost in the visual splendor that is Fes, but not too lost that we don't find our way back to our riad. He also knows where to get the best deals. Plus we got someone to take our cliche touristy shots without the need of accosting random strangers. 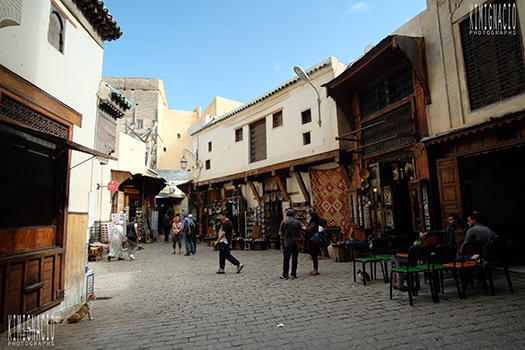 The usual Morocco narrow streets lined with architecture of impressive hand carved meticulous details, sometimes even gilded in gold, is not your mainstream street sitch. 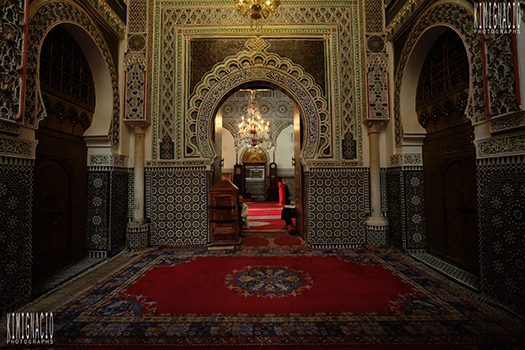 Non Muslims are not allowed to enter the mosque but because of Nassir, they let us take a peek. 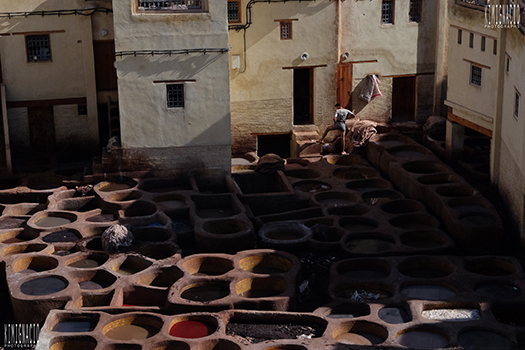 Old as time traditional leather dye-ing at the tanneries of Fes. Grateful that we've kept the bouquet of mint handed to us at the leather shops because the stench at the tanneries is basically cow hide dyed with pigments and a cocktail of moo dung and bird poop. Au naturelle! Lunch was such a treat. 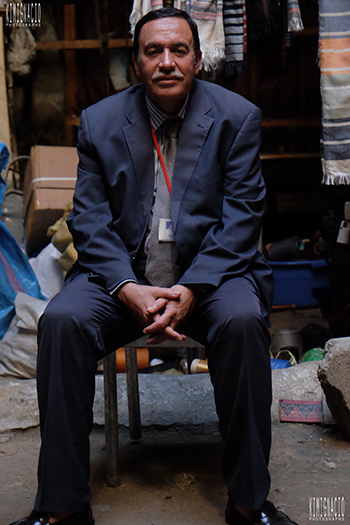 Nassir brought us to the terraced restaurant of Dar Tajine where the breeze cooled us after hours of walking. There we ate like royalties with a seemingly never ending procession of so many little plates laid before us. 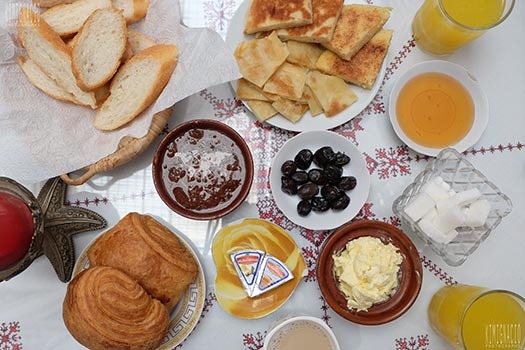 We believe that one of the best ways to understand a culture is through its food. 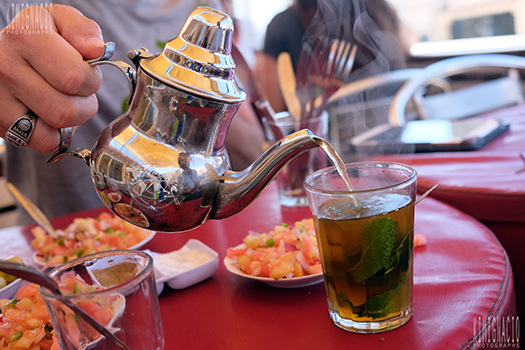 Not that we need any excuse to stuff our faces with glorious Moroccan food. Mid meal, the owner asked how we’re enjoying our lunch and when we told him there’s too much and that we possibly can’t finish them all, this was what he had to say. 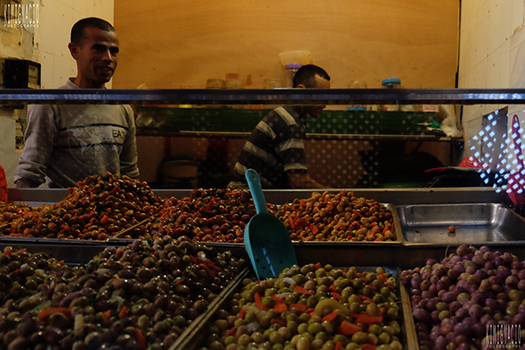 “You’re only here once so I want you to try everything the best Morocco has to offer. “ How’s that for hospitality. 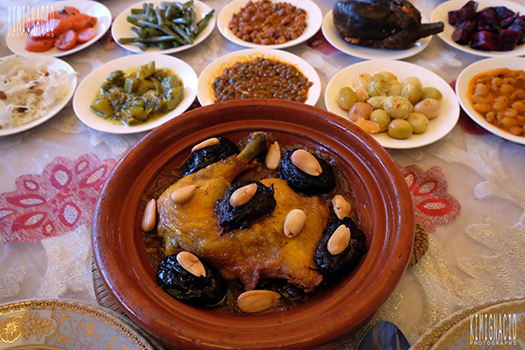 Filled with so much food and a little sluggish from the really long lunch, we asked Nassir to bring us back to our riad for a mid day nap. That right there is a holiday in our books!